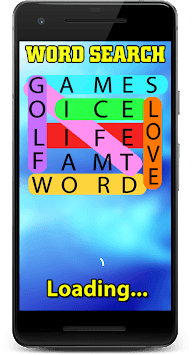 Word Search is a Classical crossword game for Android! ✔ Word Search Puzzle game is easy to play, slide the letters up, down, left, right, diagonal in any of the eight directions. ✔ Search and find all hidden words in the grid. ✔ Increase your vocabulary and exercise your brain! ✔ It is suitable for both adults and children. 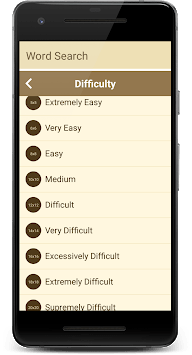 ✔ It has different levels of difficulty. Easy: Perfect for little kids. The boards are 5x5 & 6x6, so it's easy to find the words and solve the puzzle. Medium: The board is built 10x10. As you move up in the game the level becomes much more difficult and challenging than the last. Difficult: The boards are 12x12 & 14x14 and each game is harder. This level is made for players who are looking to test and train their brain with a classic puzzle game. Extremely Difficult: The boards are 18x18 & 20x20. A difficult step for those up for the challenge. Do you think you'll be able to beat this level? 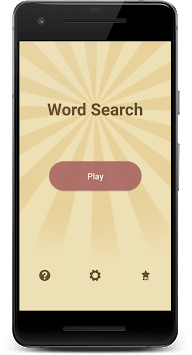 WordSearch is completely FREE to play!